The polling staff and the security personnel, deputed in the village for the duty, looked astonished in the pictures while standing in front of the roofless building atop a hill. 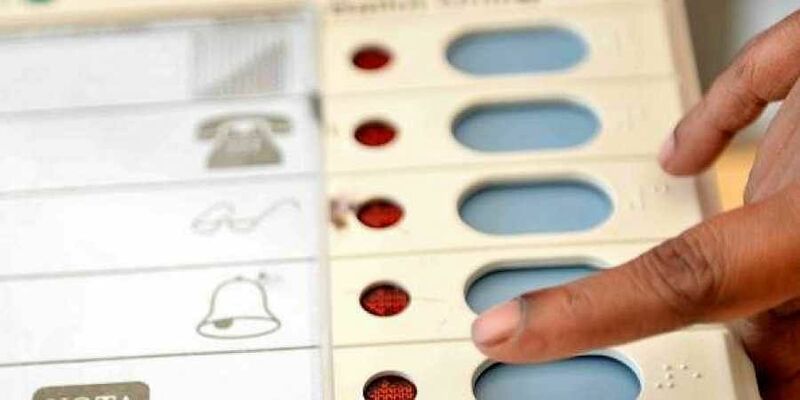 JAMMU: Authorities in Rajouri district initiated action against three officials after some pictures of a school building without a roof, which served as a polling station for the 7th phase of Panchayat elections in a remote village, went viral on social media, officials said Wednesday. The polling station, which was set up at a government primary school at mountainous Keri-Kotecharwal village in Khawas block, came under spotlight when some photographs showing the dilapidated condition of the building started circulating, attracting criticism from the netizens. The polling staff and the security personnel, deputed in the village for the duty, looked astonished in the pictures while standing in front of the roofless building atop a hill, coming as a major embarrassment for the administration. The 7th phase of polling was held across 12 districts, including Rajouri, on Tuesday and witnessed a turnout of 75.3 per cent. Rajouri district recorded an impressive 84.0 per cent voting. The officials said District Development Commissioner (Rajouri) Mohammad Aijaz Asad took serious cognisance of negligence on the part of the officials concerned and ordered an inquiry which would be conducted by the assistant commissioner, development, who was asked to submit his report within a period of one week. A village level worker (VLW) and a Gram Rozgar Sahayak (GRS) were placed under suspension, while the salary of a block development officer (BDO) was ordered to be withheld, the officials said, adding that they have been assigned the job of physical verification of the polling stations in their block for smooth conduct of the polls. "All BDOs have been directed to conduct physical verification of all the polling stations in respect of each block for smooth conduct of the Panchayat polls. It seems that BDO, Khawas, VLW and GRS did not physically inspect the polling station and did not review the infrastructure or basic minimum facilities there," the officials said. "In view of this, the VLW and GRS are hereby placed under suspension with immediate effect. Further, salary of the BDO Khawas will remain withheld till further orders. He shall submit an explanation as to why disciplinary proceedings should not be initiated against him," they said. The officials said adequate arrangements for boarding and lodging for the polling staff and the security personnel were made as per the norms. "Where there is possibility, the arrangements are being made within the polling station but when there is no such possibility, the polling staff is provided boarding and lodging near the polling station," the officials said, adding that the election staff and the security personnel faced no problems during the polling. They said the district development commissioner ordered immediate repair of the building. Reacting to the pictures, the netizens criticised the government for the dilapidated condition of the school and raised questions over the spending of funds pumped by the Centre under various schemes to ensure better infrastructure for the students. "Are the rules only meant for private schools?" asked one Sara Thaker on Twitter.